'About this coast...In the event of war it seems to me that every inch of it would be important, sand and all.' 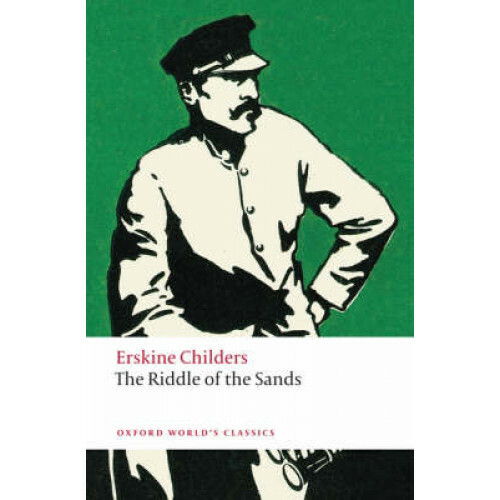 Executed in 1922 for his involvement in Irish republicanism, Childers in remembered most vividly for his ground-breaking spy novel, The Riddle of the Sands (1903). In spite of good prospects in the Foreign Office, the sardonic civil servant Carruthers is finding it hard to endure the emptiness and boredom of his life in London. He reluctantly accepts an invitation from a college friend, Davies, the shyly intrepid yachtsman, and joins him on a sailing holiday in the Baltic. The regeneration of Carruthers begins as he is initiated into the mysteries of seamanship, but the story builds in excitement as Carruthers and Davies discover a German plot to invade England. Like much contemporary British spy fiction, The Riddle of the Sands reflects the long suspicious years leading up to the First World War and the intricacy of its conception and its lucid detail make it a classic of its genre. This edition is complemented by a fine introduction which examines the novel in its political and historical context. ABOUT THE SERIES: For over 100 years Oxford World's Classics has made available the widest range of literature from around the globe. Each affordable volume reflects Oxford's commitment to scholarship, providing the most accurate text plus a wealth of other valuable features, including expert introductions by leading authorities, helpful notes to clarify the text, up-to-date bibliographies for further study, and much more. David Trotter is Quain Professor of English Language and Literature at University College, London.